Opening or closing a door activates the switch for lighting kitchen base cabinets and closets. Antique finish. 1-1/2" square base. Conventional plug ends. Finally found it. Exactly what I was looking for. My first attempt was with a cheap Chinease switch from Amazon, but it didn't work. This one did the trick, and was super easy to use and setup. It was a nice surprise to see it already has a plug at the end of the wire. Only place I could find one this simple and easy. Works great. Installed it on a pantry door over 18 months ago. Door opens and closes many times a day. Still working as it should. Just installed it and it is a very simple, elegant design. It was just what I was looking for, I did not expect all the wiring to be be part of the deal. However it made the switch of the old one and the new one very simple. I needed a plunger switch that I could fit on the head door stop to activate on the door open - door closed status. Needed a mechanism to automatically turn on an LED tape, that ran the whole entire length and width of the inside of the pantry entrance, to turn on the light when the door opened, and turned off the light when the door closed. There were a dozen or so solutions for low voltage switching, but i needed this for at least a 120VAC line that I had fed into the pantry (i.e. before 'feeding' the LED 12VDC transformer). This switch was the one 'robust' correct voltage, plug-right-in solution, even though I had to cut some of that head stop off to fit the switch in. Was a piece of cake. And a happy wife. The standard solutions, like a light bulb at the top of the pantry (which does not light the lower shelves), and the small battery plowered kits (for cupboard LED lighting) just would not fit the application. Now all shelves are lit, brightly, and all's well! Got this to automatically turn on lights in a cabinet. The one that came with the cabinet was just an inline rocker switch that I had to find and turn each time. The switch plugged in easily to the existing plug and is durable to small. Good price. Installed in a few minutes. Working well. Exactly as advertised. I needed a small pressure switch to control the light in closet cabinet section. I didn't have room to recess a switch, and as the door is glass, it needed to be small. I hardwired this switch in, but the plugged ends would be very nice for a different application. Put in my cabinet under stairs for lighting. Had outlet in there already. Screwed in by hinge, plugged in and presto. Lights up when cabinet doors open. Cord is long but was easy to hide. Excellent product. Switch doesn’t need to be depressed much so consider that when mounting. Installed easily and works perfectly. Skip the standard light switch for your storage room. Installed flush led puck lights in armoire. This switch was a great solution to turn them on and off. Was able to connect wiring from underneath the switch box so no wiring was visible. Too small for wire nuts, but crimp connectors worked. I'm not a woodworker ... but love this thing. I Googled around looking for a pressure switch that I could use for automatically turning on/off lights in a deep closet under my stairs. This was perfect. It's solidly built, and plugs right into to an outlet that was already in the closet. I've put flexible LED lights from my local hardware store in the closet, including in the once dark "cave" in the back where card tables/chairs, etc. are located. I plugged the LED into the switch. You'll notice the switch is on the top right of the door jamb (hinge side). This was easy to install save for one issue. The device works perfectly in a coat closet just as advertised. I cut the plugs off both wires so as to hard wire to the light fixture in the closet with any problems. The only issue was screwing the switch to the door jam. In removing the screws to align the switch to the door jam, the back of the switch comes off, making it awkward to screw to the door jam. Other than that, works perfectly. 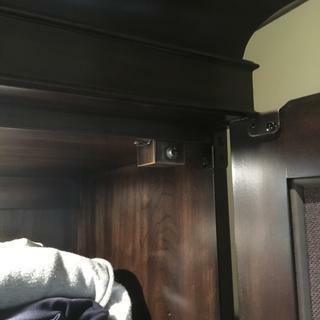 I installed it in the top of the cabinet and hid the cord by drilling a hole in the top of the cabinet, large enough for the power cord to go through and rest in the space above the armoire. Then the power cord from the lights simply plugged into the pressure switch power cord. Easy. Worked just like they described.! Easy install! I repurposed a 50s era TV cabinet into a liquor cabinet. I mounted a strip of LED lights inside the top of the face frame. The pressure switch, which was the only one I've seen that works via line voltage, worked like a charm. Very impressive to open those doors and to have the interior of the cabinet beautifully illuminated! This is my third switch for activating the lights in my third cabinet. They work great IMHO and are well worth the cost. And were easy to adapt to each cabinet. It works great for our pantry light. We could not see in there at all and now we can, just by opening the door. Perfect. We searched local hardware stores, Lowes, HD, and ace, and ordered it here. It works perfect. Many friends want to order it too. This works like a charm. I love the light in my closet and with this switch it goes on when I open the door and off when it's shut. So easy to put in. Some years ago, I installed one in a china closet with fluorescent lights to turn off all when the door is closed and it works great. For our linen closet I needed 2 outlets instead of the one that comes on the switch. The very nice thing about this switch is that you can take it apart and put it back together without damaging anything - a rarity today. There is just enough room inside the switch so that I could safely to code replace the wiring with a light-duty extension cord cut to length that has my needed 2 outlets. I am using this switch to provide lighting for a liquor and wine cabinet. 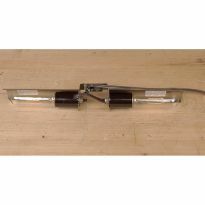 Not only does it work perfectly, the sensitivity level allows for a very slight amount of pressure when closing the door to extinguish the illumination. Thank you for maintaining this item in your product selection as these switches are not available from any other source, either on-line or in-store. Works great! I installed these switches to control the lights inside two cabinets. I shopped the home stores and found nothing. Thanks Rockler for making this available. Works perfect for my needs. I'm using it to light up the interior of a gun safe. I couldn't find anything like this anywhere I looked. Great job Rockler for putting this product out. 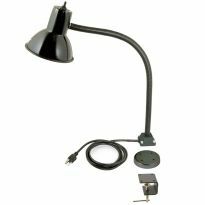 Easy to install and works great in my office desk. I took this switch out of original housing and made a housing of my own out of the same species of lumber used for my flip top desk worked great this is a real nice switch and it is hard wired for safe use, very satisfied. Great product,used on my pantry...wife loves it. I used this to automatically light a closet when I open the door. Works perfectly. I particularly liked the ease of installation. The switch comes with a fairly long cord on each side (to the plug, and to the fixture). This can be good or bad, depending on where these are located. In my case both were close to the switch, so now I have lots of spare cord to try to hide. With a little effort, I could shorten the cords and rewire the switch, but I'm too lazy. Very nice product, worked perfectly for the job. Worked as advertised and pictured. I installed switch in a large pantry cabinet to control lights. Plenty of wire included for easy installation. i used 2 switches to control 5 long strands of rope style LED lights in a large, deep pantry cabinet. switches work great, well made, and long power cords. Just what I needed to carry line voltage. Well-constructed, well-finished, for a professional installation. Works well, needs to be mounded close to hing side of door, it take alot of pressure to turn off. a light cabinet door will not shut it off unless its very close to hinge side. I could not find a similar product at local stores. Although I did not need the attached cords, it was easy to convert this switch to my existing wiring. I used it to automatically turn on a closet light. Thanks for the quick delivery! It could be better if it were sold without The lamp cord wiring (just the switch alone). For my application I had to remove the lampcords (thank God that was possible). I think the switch would be a bit pricey, especially without the cords. Otherwise, the unit works as advertised and has created a big convience for us by &quot;automating&quot; a couple of lights. I am using this in a closet pantry with a compact flourescent light. Easy to hook up and works like a charm. The wife loves it!!!! Open the door and bingo the light comes on. I am planning on using it to control lights in my Murphy bed, I built using your kit, which was excellent. It would have been better if the plugs ends were off and could be routed thru a much smaller hole and cut to the necessary length for final assembly. Exactly what I was looking for. Seems simple enough and should be common, but Rockler was only place I found one. Used it in a small closet area. I feel much better knowing for sure the lights are off every time we close the doors. My wife loves the convenience. I bought this switch after reading the review that included modifying the inside of the switch because of a need for a double receptacle, assuming it would be relatively straightforward. It is not. There is not a lot of room inside, it is fairly difficult to get apart (or at least for my fumble fingers), and then I realized that I was rewiring inside a metal enclosure that did not have a ground. I started thinking about how to add a ground when I gave up and ordered a low voltage switch instead. I also wanted to point out that this switch will be somewhat difficult to mount on a face frame. So the quality is there but I would only use in the future where no modifications were necessary. Switch resistance too strong for a lower kitchen cabinet door. Light stays on cause the door does not close completely. My wife has problems seeing in dark areas. We were very disappointed. This item was too big and heavy, power cords were too bulky and too long for my purpose, which was to turn off a light when I closed a cupboard door. The online picture gave no hint of the size of the switch and connecting cords. Looking for a simple switch to turn on lights when cabinet door is opened. This one looks easy to mount, wire into the line, and some internet searching didn't turn up any better solutions. the one on the cabinet shorted out. I searched for this type of switch and Rockler was the only place that carried it. It looks easy to install! to turn on a closet light when door is opened. Could not find one in local stores. Simple installation to provide lighting in an armoire. This product sounds like it will work for my intended application. Automatically activate LED strip lighting upon opening towel closet door. Needed a pressure switch with line voltage. All the other ones I've seen are for low-voltage lights. 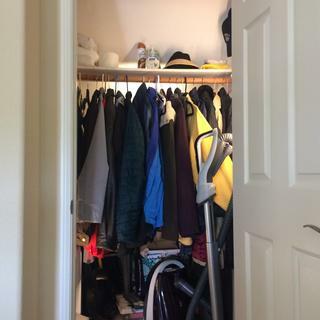 Works great in our closets. Easy to install, clear instructions. I've used this one in other cabinets and really like the way it's made. I have been searching for weeks to find one with easy install. This will allow easy install for me without running wires behind walls. I hope I can take it apart, hack it, and try to make it work. It looks exactly like I want. That's the part for switching under cabinet lighting. Simple solution to install an automatic pantry light without requiring any wiring skills. 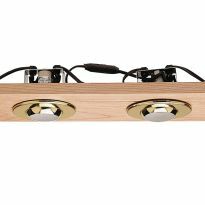 Looking for an automatic way to turn on a pantry light. Have plug and manual switch now but this will work so much better - I hope. IT will be very effective to use this device for lighting up a hidden pantry. I need to have contacts closed when depressed ( door closed) to have lights on when door closed. Can this switch be wired to do same? BEST ANSWER: I'm not sure about rewiring the switch, ie., dismantling and reconfiguring the internals, but I bought one type for a cabinet restoration for my friends. They wanted a wine cabinet with glass doors and that when the doors were closed, the inside of the cabinet(and glassware) were lit. Close the door and the cabinet is lit from lights hidden in the top rear of the inside. I no longer have the exact mod l, but they're either on this site or others. Not to my knowledge. This switch closes contacts upon opening door. Works great, all per wired. I did not open the cover plate to see if wiring differently is possible. Love this switch. From what I could tell, it is a sealed unit and there is no way to change it to normally open contacts. This will not work if you want light on when door closed. That is not possible with this switch. Can it be installed on the door handle side of the door jamb? BEST ANSWER: Unclear exactly what you mean, but I think the answer is yes. I think you want to install it on the door jamb, close to the side of the door where the handle is. that should work OK, but installation would have to be very careful because the large amount of travel of the door at that point: you would want to be sure that if the door is slammed the whole switch would not be jarred. I installed mine close to the hinge side of the door, where the travel of the door is small, and therefore it was easy to be sure the "closed" position of the door would not jar the switch. Tried putting on handle side first, but our cabinet door was not heavy enough to trip the switch to turn off the light. Worked great when moved to hinge side. I don't think that would work. I put mine on the door jamb but it the top of the door. Works like a charm. I love it. Yes it can but it might get in the way. can the cords be removed and # 14 hard wire be used? BEST ANSWER: I suppose, yes but not very easily. The switch housing is pretty cramped so the use of wirenuts insidemake it next to impossible, in my opinion. The original wire splices are done with very small crimps. If you can find crimps as small, it could be doable. The cords can be removed, however I don't think there would be possible to fit hard wire into the 1 1/2 inch square box. If it could be made to fit, the back would need to be re-drilled for the larger cords. The bottom of the switch can easily be removed and the existing chords removed. Space inside the case is very tight but the entire switch can be disassembled easily. That may be difficult since there is very little room in the housing. #14 cord might work but there's definitely not enough room for #14 romex. I don't know, never took cover off, it works great the way it is. Yes, simply take the back cover off. Is this switch compatible with 120 V? Yes. Also works for 12 volt DC. I have self-closing doors. How much pressure does it take to activate switch? An actual pressure measurement is hard to give. My cabinet doors are small and lightweight and they trip the switch just fine, granted mine are not self-closing. Very little -- and if you install the switch near the hinges, there should be enough pressure to activate it. 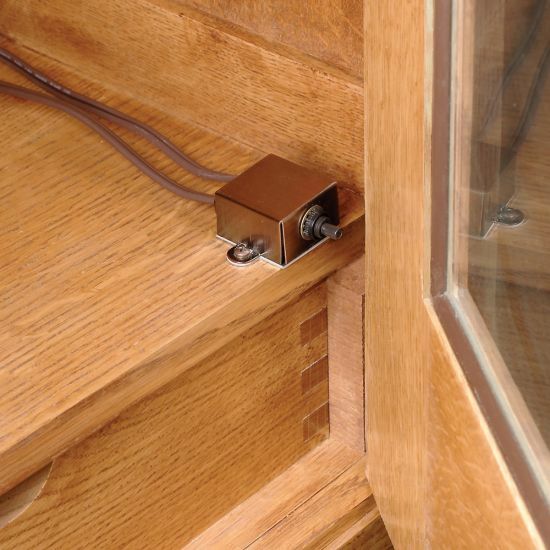 if you mount the switch on the hinge side of the door, it will work fine with the self-closing door. It takes very little pressure to activate. You should be fine. What is this switch's wattage rating? What's the most that it can handle? Not found in your details. Can this switch be used with LED lights connect to a low voltage transformer? I've never tried to do this, but I don't see why it couldn't. If it works for the 120 volt lighting it is intended to control, wouldn't it be safe for the 24 volt of most LED's? I'm sorry, I don't know enough about these things to help you. How sturdy is it? On the photo the screw connectors look like they could break off easily after some use. BEST ANSWER: I have had one since 2015 and it still works great. I would recommend this switch to anyone. mine has been working on doors used ever day for 5 years. Had this switch since 2000 never had a problem. Can this product be hardwired? BEST ANSWER: Yes they can be hard wired. I used a small wire mold box and a small piece of wire mold. I then connected to the power and switch leg to the lights I needed to turn on. Not really sure what you mean by "hard-wired"; mine is permanently attached in the opening of my projector enclosure so when the cover is open, a cooling fan comes on. I'd say that's as hard-wired as it gets. The switch works great, althought the spring is fairly strong. So if the door, etc is light, you might need to look at a micro-switch. I hope this helps you; good luck! Can this switch be used for a closet light of 75 watts? BEST ANSWER: I do not live in that home anymore. But pretty sure it's basically an extension cord, kind of, with a male plug on one end and female on the other with this switch in the middle. Plug male end into an outlet, plug in a light or light strip into other end. The switch mounts easily in a door jamb. When the plunger is pressed by the door closing, the female end of the cord gets no power and the light(s) shuts off. I'm sure it can handle a 75 watt light, no problem. It doesn't " hard" wire though, like I said. Very good product. Yes, it's a standard light switch, so it'll take any standard household wattage bulb. Thanks David. If I may pick your brain a bit, it seems that all I have to do is mount the switch to the door stop trim then plumb the switch leads into either of the lights hot or neutral lines. Does that sound correct? Yes if you are plugging it in. Not Hard wired. Can you use these in a series? As in several doors with their own switches all turning off/on one set of lights? BEST ANSWER: Yes you simply need to wire the switched side (load side) all together to fixtures so that regardless which switch is activated it lights all light fixtures. To do this you will need to look at the brown extension wire and figure which side of the brown wire is switched and which is the neutral wire. You will see that one side of the brown twin wire is ribbed and one plain. Using a continuity tester you can see the difference on which is switched and which is neutral. This is the way I would like to set my system up. Is there any type of picture or diagram on doing this? I would like to mount (3) switches to (1) light and then to (1) power source. Any help would be useful. Just like home lighting you need special switches if you want more than one switch to control a light. You could do it if you have it set up that only one door can open at a time. The best way is to use a relay but you wouldn't want to be using this kind of switch. Would this switch work in a RV camper? BEST ANSWER: This switch plugs into an outlet. I don't know much about RV campers but I can't see why it wouldn't work. I used this switch for doors on a bar and works great. David, we use it for lazy susan doors on base cabinets for new kitchen remodels. I am not sure about your application. What is the highest watts that this rated for? BEST ANSWER: The switch is rated 10 amps at 125 VAC. That would mean it can carry up to 1250 watts safely. Alexis, I don't know the max wattage bulb that can be used. I have my switch on a 110 plug receptical and an LED puck light for a cabinet bar. How to wired it to a low voltage transformer? BEST ANSWER: What exactly are you trying to do? What's on the other side of the transformer? Will this switch work if installed on the 12V side of a transformer? BEST ANSWER: I never used it like that, but I would believe it would. I plugged into a normal outlet. Thank you Tom, I'll give it a shot and I will get you know either way.